Flower rings are the latest and greatest wedding product to grace weddings in Ireland, they can also be known as flower circles. Flower Rings for Ceremonies: These beautiful floral designs are a fantastic backdrop to the registras table and will add a little extra class to your wedding images. As usual we complements our stunning flower ring with many of our other products helping to make an amazing civil ceremony room for this very special day. 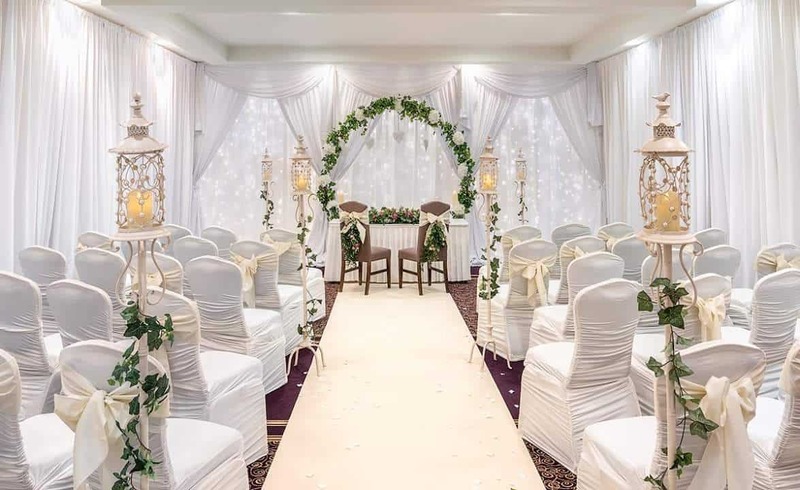 These products included: Full Civil Ceremony Room Drape, Custom Built Fairy Light Backdrop, beautiful tall lanterns and of course a luxury cream carpet. 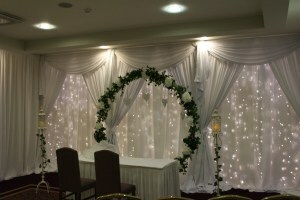 Please click on the following link to see more of our beautiful civil ceremonies.